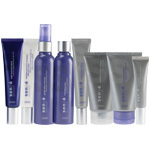 •Regenerates, repairs, and replenishes skin for a smoother, healthier skin. •Works with the skin’s natural nocturnal activity when skin is most receptive to repairing itself from daily aggressors to dramatically restore skin. •Kiehl’s Insider Tip: Layer over Powerful-Strength Line-Reducing Concentrate for optimal anti-aging and healthier skin benefits.